Lots of live streams available. Many accepted payment methods including Bitcoin. 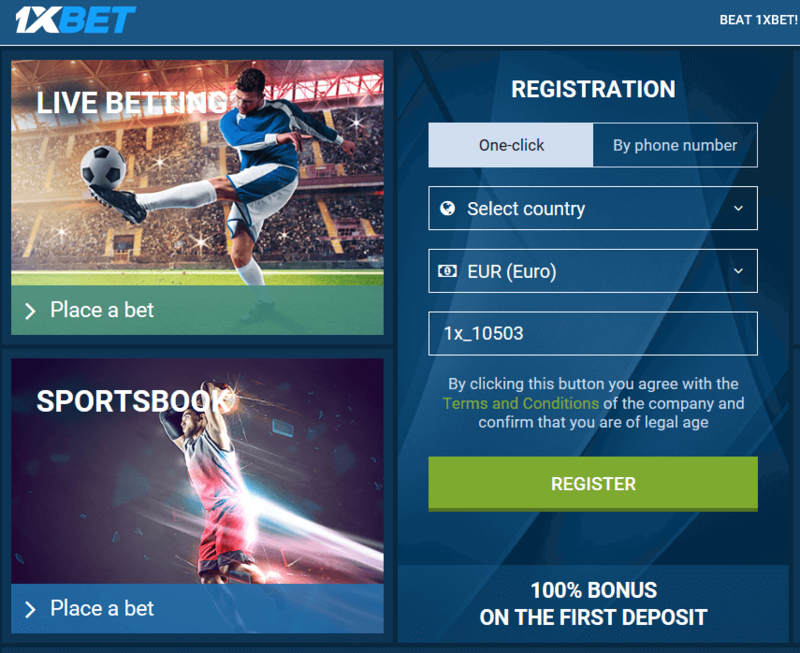 1xBet is a new and upcoming sportsbook from Cyprus. They have recently been gaining a lot of attention in many European countries and overseas. We will help you to figure out if you are looking at a decent sportsbook with exciting and useful features or just another regular bookmaker with little-to-no individual ideas. The 1xBet website was launched back in 2012 with a sports betting license in Curacao. The company head quarters are located in Cyprus and they have hundreds of betting shops located in the Russian Federation. The site is currently serving more than 400,000 online users and they offer you over 1,000 events on a daily basis. 1xBet has tons of different betting markets, sporting events, and sports betting promotions which are the biggest strengths of this bookmaker. Let’s not waste any more time and jump to the cold hard facts in our full 1xBet review. New customers signing up through our link can claim a €130 welcome bonus. The regular 1xBet first deposit bonus is capped at €100. However, we have an even larger bonus waiting for you. The maximum bonus amount you can receive by using our promo code 1x_10503 is €130. Make sure to use our exclusive promo code while signing-up for 1xBet, otherwise you will only receive their regular first deposit bonus. To receive the maximum bonus, you have to deposit €130 or more into your 1xBet account. The bonus amount has to be rolled over 5 times in accumulator bets. Each of these accumulator bets has to contain 3 or more selections. At least 3 of your selections must have odds of 1.40 or higher. As you can see, the 1xBet bonus is something for accumulator fans only. If you enjoy placing accumulator bets you should definitely claim your exclusive bonus. If you don’t place accumulator bets that often, we recommend depositing a little bit less money with your first deposit to receive a lower bonus amount which is easier to play through. The bonus must be used within 30 days of registration. A 5x bonus rollover requirement is really fair, considering the fact that you only have to turn over €650 in bets to withdraw your funds. Our step-by-step guide will show you how to easily set up your account within a few minutes and benefit from our fantastic €130 Betting Bonus Offer. Once your account is created you can start to deposit onto your new account. Simply choose your preferred payment method, your currency, and follow the instructions on the screen to finish the deposit process. Make sure to use the code “1x_10503” to become eligible for our €130 Betting Bonus Offer and all other benefits. 1xBet offers you a huge selection of different sports, competitions, and events to bet on. In fact they have the largest amount of different types of sports out of all the bookmakers on our site. 1xBet features all major sports including football, basketball, tennis, and many other less common sports like hurling, futsal, netball, and many more. The full selection of sports at 1xBet includes: football, basketball, ice hockey, basketball, tennis, volleyball, table tennis, long-term bets, alpine skiing, American football, athletics, Australian rules, badminton, bicycle racing, billiards, bowls, boxing, chess, cricket, crossfit, darts, floorball, Formula 1, futsal, gaelic football, golf, greyhound ante post, greyhound racing, handball, horse racing, hurling, lottery, martial arts, motorbikes, motorsport, netball, rugby, ski jumping, skiing, snooker, special bets, speedway, surfing, swimming, TV-games, triathlon, trotting, and eSports. There is a total of 47 different types of sports to bet on at 1xBet. The bookmaker is also proving hundreds of different betting markets on large events such as the NBA Playoffs or Champions League. They have way more betting markets for basically all matches compared to other regular bookmakers. 1xBet is the perfect choice if you enjoy betting on different sports. Due to the sheer amount of sports you basically will never have to switch to another bookmaker to bet on a game. 1xBet is not only offering a ton of different betting markets, but they are also offering insanely good odds. We have rarely seen a bookmaker with better odds on major sports. 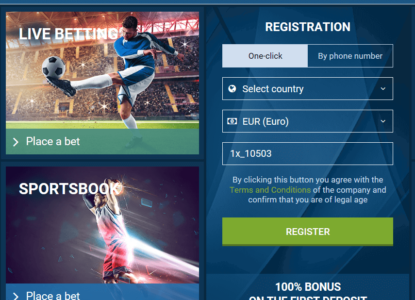 Even Bitcoin betting sites like Cloudbet or Nitrogen Sports, and even Pinnacle, will have trouble keeping up with 1xBet’s odds on football or baseball. 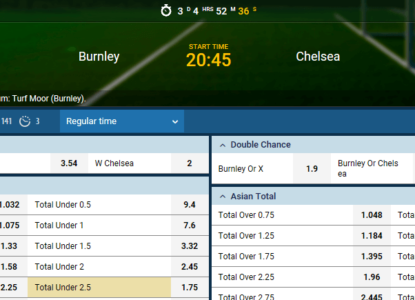 At 1xBet you can choose between decimal odds, fractional odds, Hong Kong odds, Indonesian odds, Malay odds, and American odds, which is a huge selection of formats. 1xBet is charging an almost absurdly low betting margin of approximately 1.5% on their football betting markets. Their commission on baseball games is just slightly higher with 1.9%. Tennis bettors benefit from a betting margin of ~ 3.2% and basketball bettors will be charged a moderate 4% commission on their bets. As you can see, 1xBet is offering really great odds in general. Their overall betting margin is around 3% and especially large competitions feature really decent odds. Their betting margin is a little bit higher on smaller and less-popular events but can still keep up with other large bookmakers. 1xBet provides their customers with fantastic odds and lots of different betting markets. Even if 1xBet is one of the best when it comes to odds, you still should always compare before placing a bet to not miss any value. Give it a try and see how easy it can be to maximize your winning by just picking the best site to place your bets. Since almost everyone is using a mobile device like a smartphone or tablet, live betting has become even more popular. Follow your favorite team no matter where you are right now and take every chance to place some profitable bets. 1xBet offers live betting markets for most of their markets and if you haven’t tried betting yet, you should! 1xBet is definitely a good place to start. Once again we have to mention their betting margins. 1xBet is charging really low commissions on their live bets as well. Unlike many other bookmakers where you will have to pay up to 10% in betting commission, you will rarely find a betting market with a betting margin higher than 5%. The live betting area is sometimes lagging a little bit, but they do have decent animations and live streams for many events. Their live streams consist mainly of football, tennis, ice hockey, boxing, handball, rugby, and eSports games. You can check their live stream calendar for additional information like when games are starting and which teams are participating. Start Live Betting at 1xBet! 1xBet offers a decent range of payment options so that every customer will find a way to easily deposit into their sportsbook accounts. The following table gives you a quick overview about the most important payment options and their fees and limits. 1xBet is also running several other promotions on top of their first deposit bonus. After you have played through your initial welcome bonus you can join the other 1xBet promotions. Currently, there are 6 different 1xBet sportsbook promotions taking place (as well as 2 1xBet games promotions). Some of these promotions are weekly like the Lucky Friday or the X2 Wednesday Promotion. 1xBet is one of the youngest sports betting sites on VIP-bet. The sportsbook was launched in 2012 and is growing fast. The company initially started by opening several betting shops in Russia, but soon made the transition to online sports betting as well. The company holds a license in Curacao and is operating from their head quarters in Cyprus. Nowadays they have almost half a million active customers all over the world. The company is looking forward to improving their market share and serve even more players. The company is following a similar approach which has been already proved to be sucessful by Pinnacle Sports. 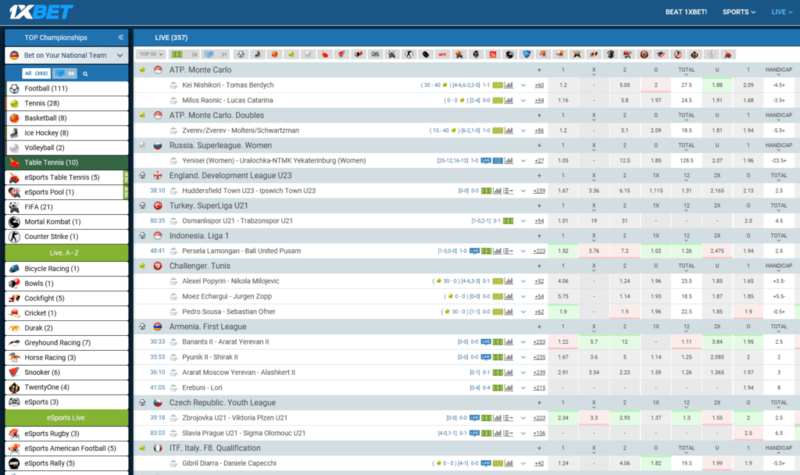 1xBet is relying on their biggest strenghts: competitive odds and many different betting markets. 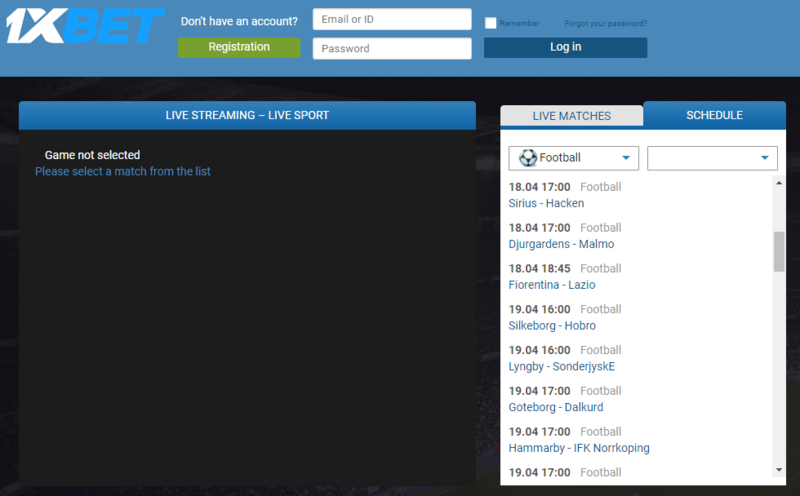 They also have a decent live betting area where you can watch many different live streams for all types of sports. The 1xBet live betting odds feature a really low betting margin which is a huge plus if you enjoy placing in-game bets. The overall design of the 1xBet site is simple and well structured. The company is focusing on their odds and betting markets instead of fancy design with flashy images and animations. However, if you are interested in switching things up a little you can change the settings to fit your needs. 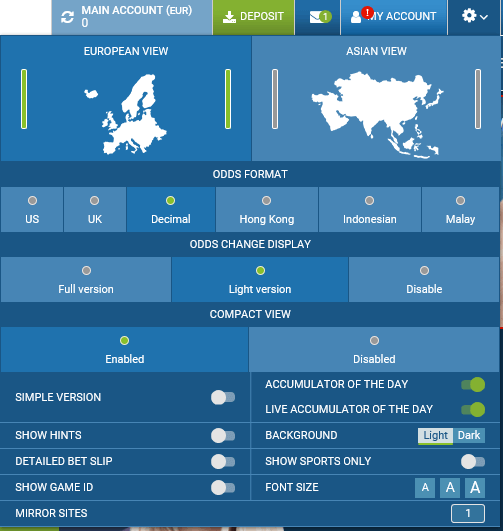 You can choose between six different types of odds formats and a European or Asian view which will display betting markets in a different way. Additionally you can switch between a simple and a more detailed version of the 1xBet website. You can even change the website background, font size, and more. There are lots of betting markets at 1xBet which you might not be interested in. Therefore you can choose to only display certain sports on their website. 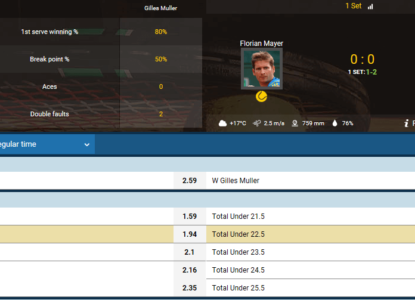 The detailed bet slip display option lets you show some additional information about the bets you are about to submit. 1xBet can be almost completely customized according to your personal preferences. That’s a unique feature we haven’t found at any other bookmaker thus far. 1xBet offers a mobile app for all Android and iOS devices. Through those apps you will be able to enjoy the full 1xBet sportsbetting program without any restrictions. Fund your account, withdraw your winnings, place live bets or just check your history and profits from the past in your overview. The mobile app will get you access to your account no matter where you are with any of your mobile devices. You can use a mobile app for all your Android and iOS devices. The iOS app can be downloaded from the Apple Play Store. However, it is a bit more complicated with the Android app. The reason for that is Google’s strict policy against gambling and therefore they removed the apps from their store. Luckily, most bigger sites are fully aware of this problem and provide a link to download the app on their sites and so does 1xBet. To download the Android app just click the following button and follow the instructions on the 1xBet mobile website. Please note, you will also find several other sources where you can download the android app, but we would highly recommend to not use apps from an unknown source and only use the app from the original link on their homepage. 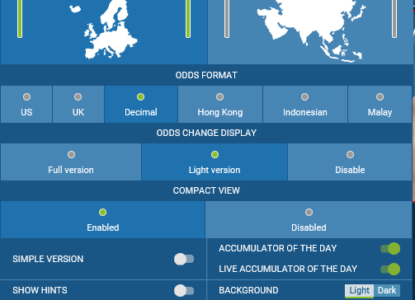 Odds Format: Fractional, decimal, American, Hong Kong, Indonesian, Malay. 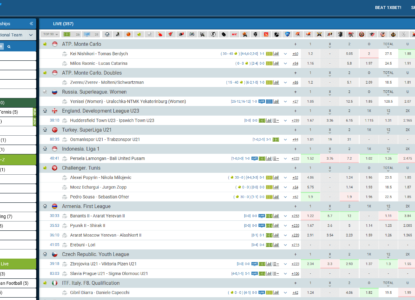 Live Betting: Huge selection of sports and betting markets. Live Streaming: Available for 15 different types of sports. Sports & Leagues: Football, basketball, ice hockey, basketball, tennis, volleyball, table tennis, long-term bets, alpine skiing, American football, athletics, Australian rules, badminton, bicycle racing, billiards, bowls, boxing, chess, cricket, crossfit, darts, floorball, Formula 1, futsal, gaelic football, golf, greyhoud antepost, greyhound racing, handball, horse racing, hurling, lottery, martial arts, motorbikes, motorsport, netball, rugby, ski jumping, skiing, snooker, special bets, speedway, surfing, swimming, TV-games, triathlon, trotting and eSports. 1xBet is available worldwide and only clients from a few countries are not allowed to open a 1xBet account. Check the following overview to see all regions where you are not allowed (orange) to open a 1xBet account and where you are allowed (blue).